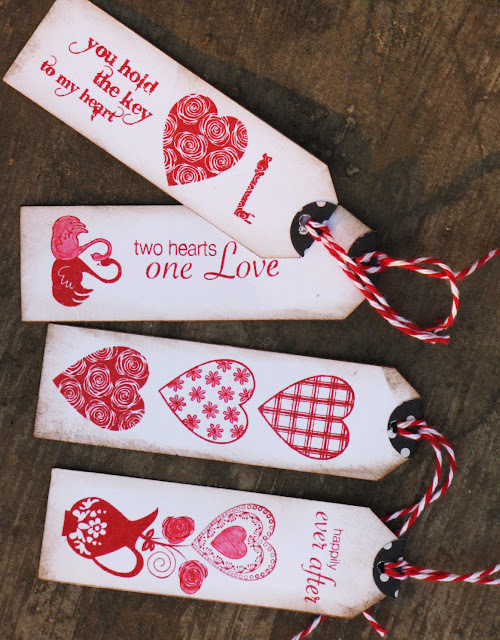 I am working on a V-day album on order and needed some pretty tags to put as little hidden love notes for the cute factor and that is when I decided to use my PPRS stamps for the task. 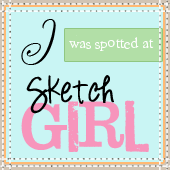 I simply stamped the gorgeous PPRS images and then colored in some of the details with a marker. Then I inked up the edges with walnut stain distress inks and added some twine to finish them off. awesome bookmarks Ujjwal!! Hard to pick one... all are pretty! 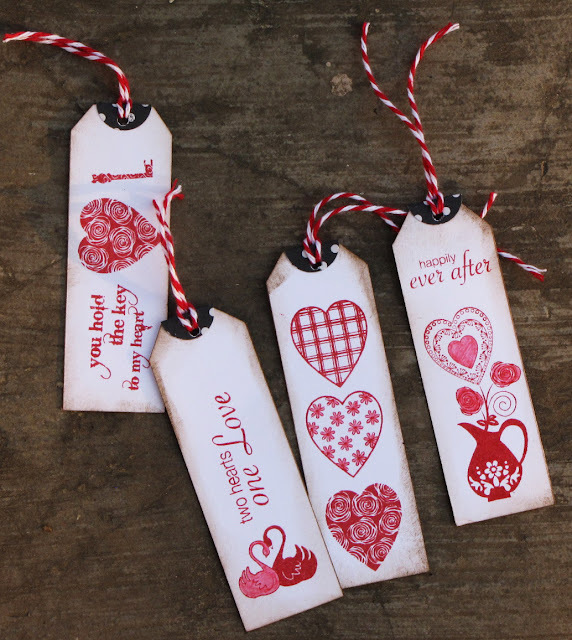 Wao... these are really cute tags... love the stamps..
Beautiful and very elegant!! !Love your stamps. BTW..where can I get these stamps?